Over the last seven years, the number of pet rabbits in New Zealand has exploded. It’s estimated that over 100,000 rabbits are kept as pets in New Zealand with 3% of households having an average of 2 rabbits each. 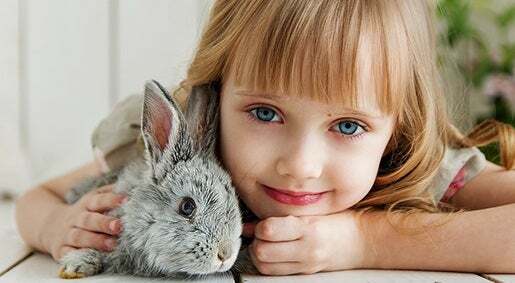 This growth in the popularity of rabbits may come as a surprise to some but they are now the fourth most popular pet in New Zealand, after dogs, cats and fish! If this takes you by surprise, the New Zealand Companion Animal Council (NZCAC) found that even more surprisingly, unlike for cats and dogs, the main reason people acquire rabbits in New Zealand is that they believe that rabbits will be fun for children. In contrast, most people adopt cats or dogs for companionship. Perhaps this can explain why the amount of pet rabbits in New Zealand has risen by over 30% since 2011! If you are one of the people who have a pet rabbit because you find them fun companions, you’ll love these handy tips that focus on keeping your rabbits as happy as you hope they’d be! 1. Wild rabbits are used to travelling huge distances every day – and this desire to move around still exists in pet rabbits. Try to give your pet rabbit as much space as possible, with secure areas to exercise and run around. 2. Rabbits are incredibly social! If you can’t keep more than one bunny in your house give your rabbit your own human company for as long as you can. 3. Rabbits should be fed a very specific diet to keep them healthy. You can find a detailed breakdown of their diet in a previous Pawprintz article, but up to 85% of their diet should be grass and hay. 4. Rabbits are highly intelligent animals and as such they need some stimulation. Provide them with digging boxes or small toys so they can keep themselves occupied! 5. Keep your bunnies vaccinated against killer diseases. Talk to your vet and discuss an immunisation plan for your pets. 6. If your rabbit isn’t totally comfortable with you, try to limit how much you pick them up. Rabbits can get spooked if you lift them high in the air, so when building trust it’s best to get down to ground level with them. 7. Despite common belief, holding a rabbit upside and putting them into a trance doesn’t calm them down – in fact it’s a fear response. If your rabbit is scared, put them in a comfortable environment. If you follow simple steps to keep your rabbit in a safe environment, it’s easy to keep them happy and you’ll be able to see their happiness too! A happy and hoppy rabbit will dart around, jump in the air, and maybe even twist in a dance! It’s no wonder that so many people think rabbits are such fun pets!